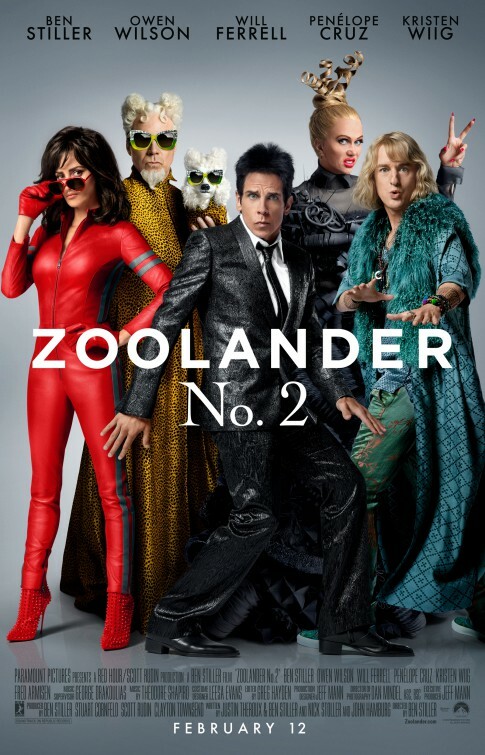 Review: I guess I just need to start this review by owning up to the hard truth that before doing my homework for Zoolander 2 by re-watching the original, I’d only seen Zoolander once, back on the day it opened three weeks after September 11 in 2001. Arriving at time when audiences needed a brainless piece of fluff to distract them for a minor amount of time, the comedy was 89 minutes of funny, if perplexing, moments. For each solid laugh there were a dozen groans and while it did a fair job skewering the easy target of male models and fashionistas, it never left a lasting impression on me. In the years since it’s evolved into a bit of a cult hit (it did better business on video than it did in theaters), but I never felt the need to revisit it until the sequel came creaking along. Now, no one is going to accuse director/writer/star Ben Stiller (The Secret Life of Walter Mitty) of missing the boat on cashing in on a sequel to a popular title from his canon. With Meet the Parents, Madagascar, and Night of the Museum now trilogies, Stiller likely was running through his IMDb page and landed on Zoolander as the target of his next trip to the Stiller well (we should be thankful he didn’t set his sights on Starsky & Hutch or Dodgeball…oh wait, a sequel to Dodgeball is already in development). A whopping 15 years after the original was released, Zoolander 2 is ready to strut its stuff on a catwalk near you and while overall it’s better made than its predecessor, it suffers from the same chronic forgetability. Though Stiller and co-star Owen Wilson (Inherent Vice) look remarkably, um, “refreshed”, the jokes and comic foibles of the two dunderhead models start to feel musty halfway through the smorgasbord of cameo appearances and off-the-wall tangents. A freak accident a decade ago sent former male model Derek Zoolander (Stiller) into exile in Northern New Jersey and split his family apart. When he’s called out of retirement by Billy Zane bearing an invitation to model in Italy, Derek agrees as a way to show he can be a fit parent and provide for his son. Meanwhile, Hansel (Wilson) has been hiding out in Malibu, ashamed of a disfigurement that ended his career. He’s also visited by Zane with the same offer of redemption and in an attempt to find out who he really is, agrees to put his shallow pride to the side and take to the runway. Soon after their arrival, Derek and Hansel are in the middle of a conspiracy within the fashion world involving a legend that’s part The Da Vinci Code and part acid trip which threatens to end their careers (and lives) for good. Upping the ante from the original film, the cameos that Stiller has secured are plentiful. Running the gamut from Susan Boyle to Anna Wintour, Stiller isn’t messing around when it comes to stacking the deck with famous faces even though it’s clear many of them filmed in front of a blue screen and were digitally input into the scenes. Without question, the majority of the fun derived from revisiting Stiller’s brainless model is picking out the stars that pass through the frame. And the film earned a full two stars from me in its opening moments when it blessedly offs an annoying pop star that definitely had it coming. That’s not to say the film doesn’t have its moments, because it does have some sequences that are so absurd you can’t help but laugh at the insanity of it all. To their credit, Stiller and fellow screenwriters Justin Theroux, Nicholas Stoller, and John Hamburg insert joke upon joke upon joke so if four are duds there’s sure to be one solid laugh coming right on their heels. The film gets its best results with Will Ferrell (Daddy’s Home) reprising his role as a megalomaniac designer and Kristen Wiig (The Martian) made up to the high heavens as a European fashion maven modeled after Donatella Verasce. When Ferrell and Wiig are involved, you just have to let the camera roll and they’ll do the work for you. The biggest surprise of the film is how high Penelope Cruz flies. The Oscar winner hasn’t been this free for years and she seems to relish the opportunity to play with broad strokes. Yet overall the film feels as hollow as the fashion world itself. It’s all fun on the surface and in the moment but it leaves no lasting impression on the viewer. I’d be lying if I said I didn’t have an overall positive reaction during the screening, I laughed at the most absurd passages (be prepared to let Fred Armisen haunt your dreams as a…well…I shan’t spoil the remarkable vision for you) and enjoyed myself sporadically, but upon reflection it’s simply a well packaged bag of potato chips…more stale air than actual food. Review: The last time stars Will Ferrell and Mark Wahlberg teamed up was in 2010’s The Other Guys, a better than average twist to the cop/buddy movie that played nicely into the strengths of its leads. Neither actor was required to travel too far out of their comfort zone and instead of it coming off as lazy, it felt like a cohesive mix of actors putting a shine on characters they could play in their sleep. For a time there was talk of a sequel to The Other Guys and while that still could happen sometime in the future, Ferrell and Wahlberg must have been itching to work together again and signed on for Daddy’s Home in the hopes of reclaiming some of that good will directed toward them in their previous collaboration. 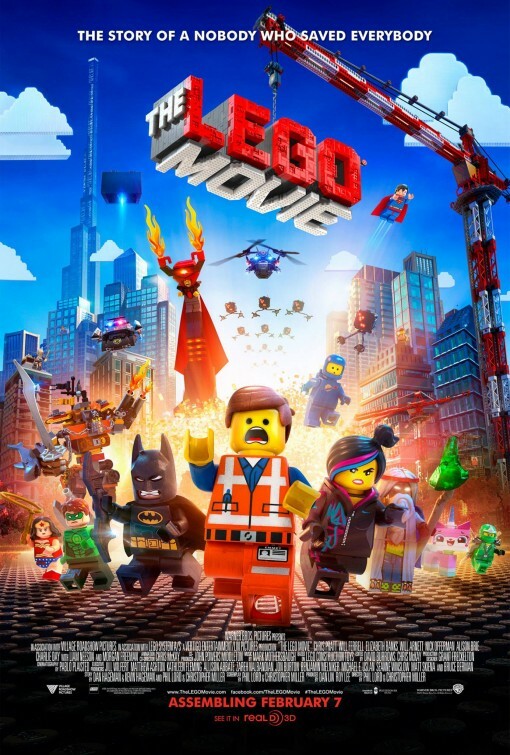 Well…this Daddy has issues and it never rises above a mediocre comedy irresponsibly trying to lure families into ponying up their holiday dough to see this unpleasant gunk. 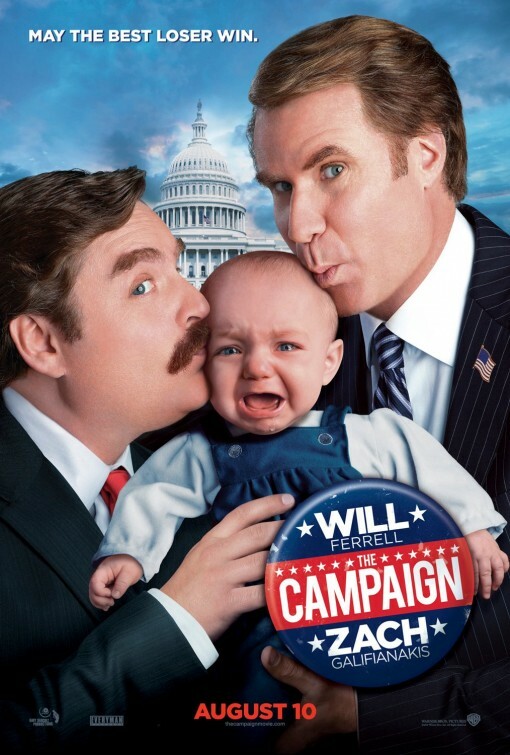 Ferrell (The Campaign) is a benign lump of good-nature as man trying to be the best stepdad he can be to his two new stepchildren. Unable to have children due to an unfortunate dental accident (just one of the precious few inspired bits the film has to offer), he’s the superman of stepfathers whether staying on top of school activities or making sure the kids are fed. 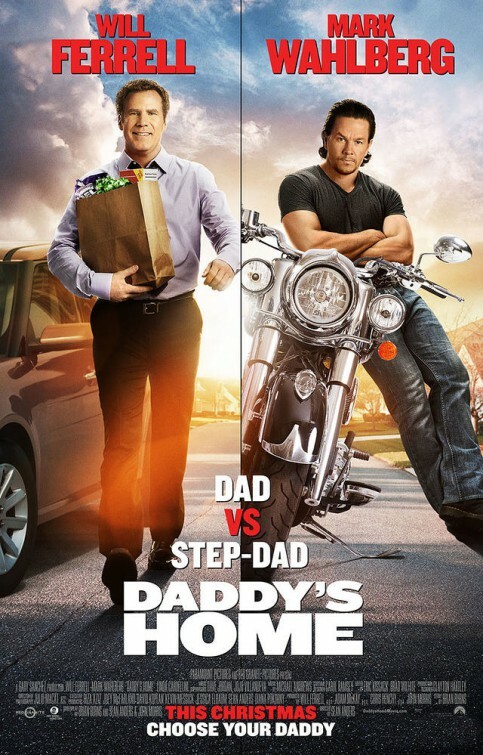 That Ferrell’s character has been met, wooed, and wed his wife (Linda Cardellini, Avengers: Age of Ultron) without ever meeting the father of her children seems pretty hard to swallow…but it’s a paltry oversight of a set-up for the first time old dad (Wahlberg, Ted) meets new dad after he decides to enter back into their lives, causing a host of troubles along the way. Wahlberg is the motorcycle riding tough guy with pecs that pop mighty unhappy his wife has moved on without him…so unhappy that he spends the majority of the movie trying to ruin Ferrell’s career and relationship with his new family. It’s here the movie starts to rack up a host of losing points in my book. The plot reads like the logline of a domestic thriller from the ‘90s and Wahlberg comes off as a middle-aged version of the crazed psycho he played in 1996’s Fear. 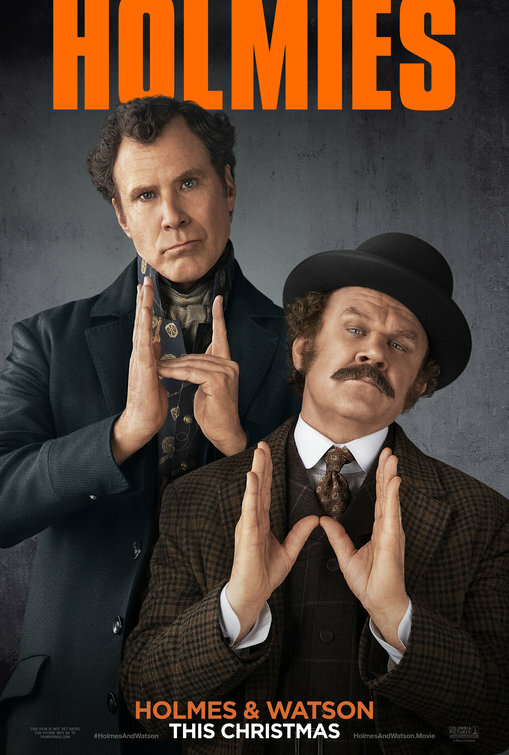 Ferrell and Wahlberg engage in a battle of the dads to see who can come away with the most affection, resorting to buying love rather than trying to earn it. The ruse for hoots results in a genuine discomfort in the viewer as we watch all of this nastiness play out in front of the children. 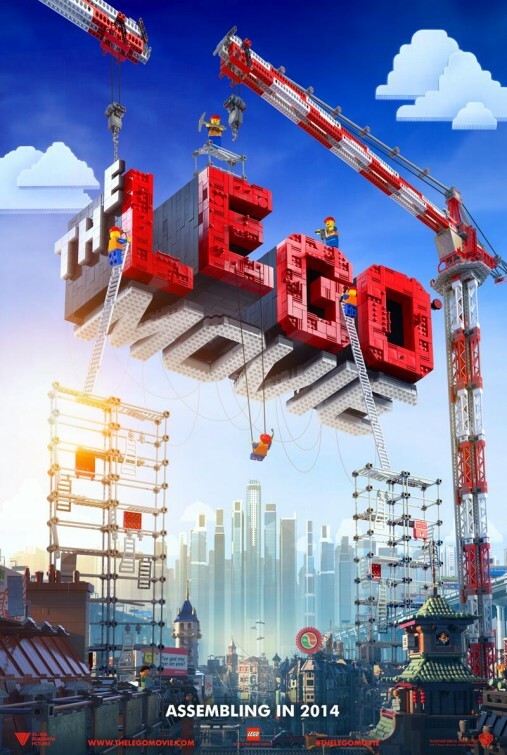 Co-written by director Sean Anders (who also penned We’re the Millers), it’s a cheap looking film too…with special effects that appear like first passes inserted as placeholders. Anders and his co-writers don’t bother to flesh out any character other than Ferrell and Wahlberg, leaving Cardellini in the dust and wasting valuable time on irksome supporting characters like Thomas Haden Church (We Bought a Zoo, looking more and more like that vein on your neck that bulges when you get angry) and the completely useless Hannibal Buress (Sleepwalk with Me). Buress gained notoriety recently for unknowingly igniting the Bill Cosby scandal during his comedy act…he should be more proud of that than anything he’s doing here. Are there a few laughs to be had? Sure…and I laughed at them. However, I kept coming back to fact that the movie relies on laughs that come at the expense not just of manly pride but the respect of the impressionable minds both men should be trying to be role models for. Thoughts: Well, the second trailer for the sequel to 2004’s Anchorman has arrived and, like the first preview, I’m left cold. Though I know the first film has achieved a high position on the list of cult favorites over the years, I’ve never been a big fan of what’s essentially an overlong comedy routine from Will Ferrell and his gang. Now I think all of these men are funny individually but I’ve yet to be swayed that as a group they’re the laugh riot they think they are. I barely cracked a smile during this…and that doesn’t bode well for my enjoyment of the finished product. 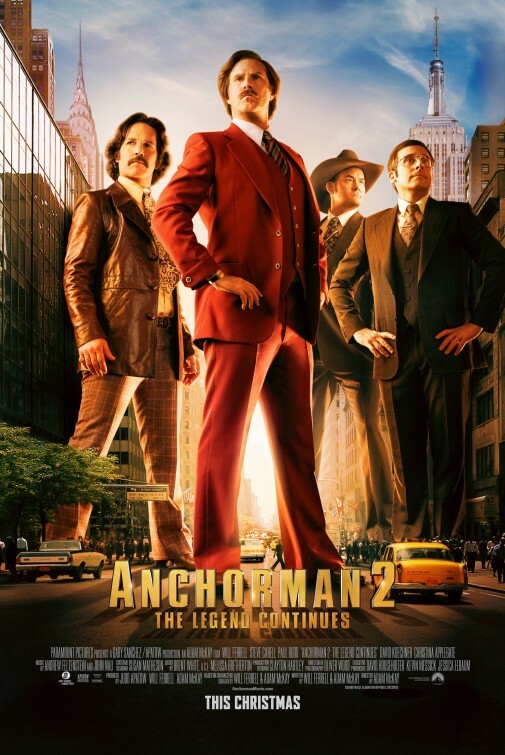 I realize I’m in the minority here and Anchorman 2: The Legend Continues is poised to be a huge holiday box-office hit, but man-child humor has to work extra hard to get a laugh out of me and so far I’m unimpressed. 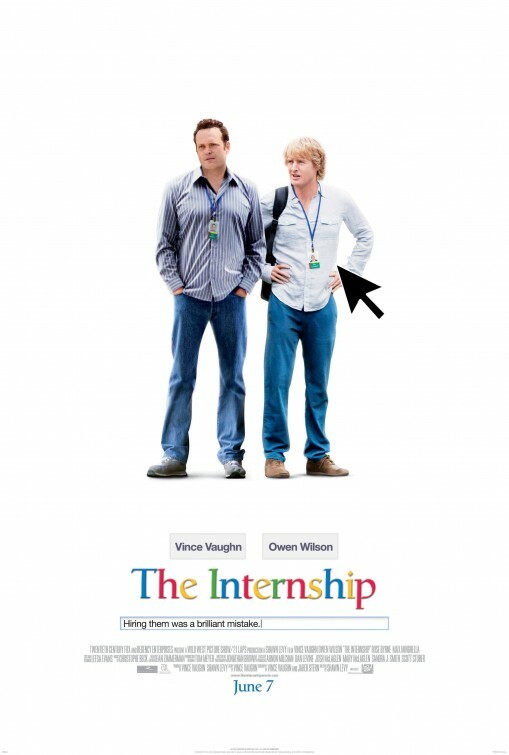 Thoughts: Watching the trailer for The Internship reminds me of the kind of movies we saw in the mid to late nineties – big studio comedies with a box office stars that were bright, fun, and harmless. Though I’m not the biggest fan of either Vaughn or Wilson (and their current status as A-list box office stars is debatable) I have to say this looks like a welcome return to form for both comic actors. While it does come off like a feature length ad for Google, I’d still bet good money that there are plenty of laughs to be had in this summer internship. Synopsis: In order to gain influence over their North Carolina district, two CEOs seize an opportunity to oust long-term congressman Cam Brady by putting up a rival candidate. Their man: naive Marty Huggins, director of the local Tourism Center. Review: Election Day may be several months away but the makers of The Campaign would have you believe that you’re in the thick of the political mud right here and now. A smartly timed release, however, can’t totally save a film that doesn’t have as many ballots in its joke box as it thinks it does. The teaming of two strong comedians in a raunchy R-rated comedy most likely had Warner Brothers head honchos salivating in their suede shoes, but the results are decidedly hit and (mostly) miss. You’ll laugh…but you may wish you hadn’t after the fact. Most of the ads have mentioned that director Roach is responsible for the Austin Powers and Meet the Parents films while neglecting to point out that he’s spearheaded two excellent political satires for television, Game Change and Recount, that skewered some very true life stories. So Roach is in a slightly familiar stomping ground which is why the film has a fresh, nearly bubbly quality to it. It shines like a new penny with crisp colors in a strong production design. I’m not sure how much direction Roach gave Ferrell and Galifianakis because it seems like they were given free rein to do their shticky thing throughout. Ferrell plays a dialed back version of a handful of characters he perfected on SNL to create a dunderhead politician that is all libido and no policy. He’s ran unchallenged for many a term and when he’s caught in a scandal his powerful CEO backers (Aykroyd and Lithgow pretty much playing the Don Ameche/Ralph Bellamy characters from Trading Places) decide to put their money on a different horse. The horse in question is Galifianakis who has settled on playing his character with a wispy voice complete with lisp and a general light-in-the-loafers attitude. I’d say it’s offensive but it’s such an obvious and uninspired character choice that it would only offend if it was the least bit creative. As it stands, Galifianakis does elicit some laughs from his manner of dress and sweetly small-town attitude but Mr. Deeds Goes to Town he is not. 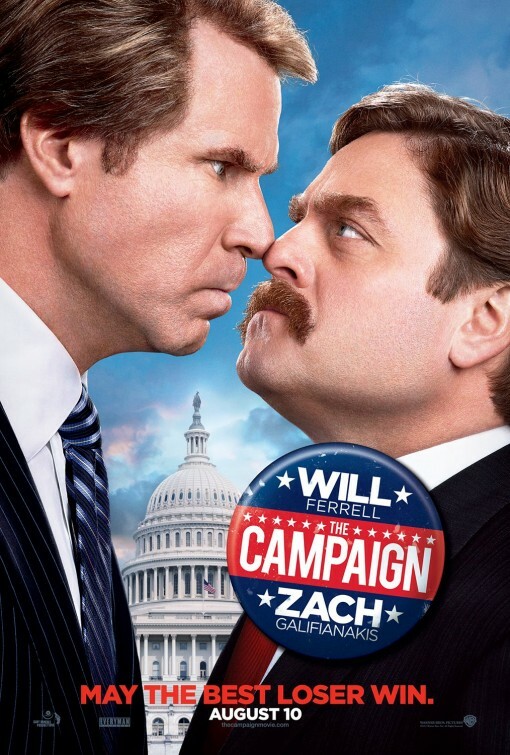 Galifianakis and Ferrell become opponents in a race that gives mudslinging a bad name. Idiotic debates, devastating attack ads, and Ferrell’s penchant for not once but twice punching an unwitting constituent in the face all add to the lunacy on the campaign trail. An icky subplot involving infidelity takes the cruel factor one step too far and the movie has to work hard to get the audience back from such a nasty swipe. In between all that I think there was some message about honor, dignity, and family values but the satire gets squashed in favor of crude jokes and mean-spirited plots of revenge. Perhaps with two different stars the film could have achieved what it was trying to say but it’s hard to get any word in edge-wise when Ferrell and Galifianakis are galloping along this horse race. Did I laugh? Of course I did. There are several exchanges that will produce the necessary belly laughs and strangely enough none of them involve the leads. Aside from Ferrell and Galifianakis Roach has peppered his film with veteran actors and up-and-comers that make the most of their screen time. I could easily have seen bigger female stars playing the wives of the candidates but instead Roach cast comic actresses that were simply right for their roles. At less than 90 minutes The Campaign does start to sag just as the election results are coming in. Who wins and who loses isn’t really the issue here because you’ll probably figure out what’s going to happen long before the votes are tallied and the credits roll. What matters most is what enjoyment you can derive from some overly raunchy humor delivered by comedians that I think could have done better. Synopsis: Two rival North Carolina politicians with presidential aspirations tangle with one another. Thoughts: I’m of the camp that thinks a little Will Ferrell and Zach Galifianakis goes a long way…both are proven comedians with strong box office numbers behind them. Still, their shtick can wear pretty thin pretty fast and lock the audience into an endurance test of will. The previews for The Campaign are, admittedly, pretty dang funny but I’m just hoping that the main joke of the film isn’t played out by the time we finally see the movie. Director Jay Roach has graduated from the Austin Powers films to political satires so he’s probably a smart choice for the blending of two genres. With the political climate heating up in recent weeks I’m sure that audiences will be ready to laugh a bit when The Campaign is released in August.